Play ALMIGHTY REELS – Realm of Poseidon™ online for free now! 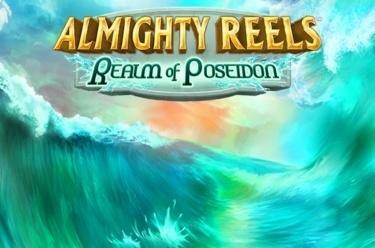 ALMIGHTY REELS – Realm of Poseidon™ features 25 win lines on 5 reels and is all about Poseidon, the god of the sea. The Wild symbol and Poseidon score the highest winnings. 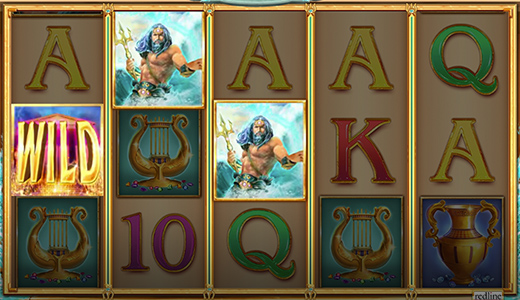 Your aim in ALMIGHTY REELS – Realm of Poseidon™ is to line up 5 matching winning symbols on one of the lines that run from left to right. The Golden Temple, the Wild symbol, substitutes for all symbols except for the Scatter symbol. The Scatter, the Golden Coin, only lands on reels 2, 3, and 4: 10 free games with Giant Bonus symbol are triggered if the Scatter appears completely and stretches across 9 reel positions. Prior to the free games starting the Cornucopia, the Harp, the Vase, the Helmet or Poseidon are randomly selected as Giant Symbols. During free games this symbol can completely appear on reels 2, 3 and 4 and grant you huge winnings! ALMIGHTY REELS – Realm of Poseidon™ is the cream of the crop befitting a slot that is dedicated to a god. In Poseidon's realm, a Golden Temple located in the depths of the sea, symbols are eagerly waiting to stretch across 3 entire reels and flood your account with huge Twist wins – put on your diving suit and embark on this underwater adventure!